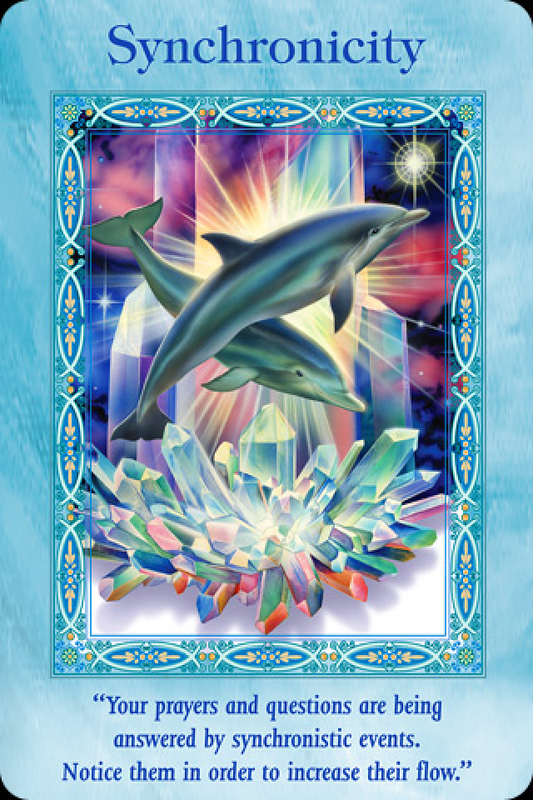 April 7, 2014 bcalvanocoachingLeave a Comment on Weekly Oracle Card Reading for April 7 through 13. Weekly Oracle Card Reading for April 7 through 13. For Monday and Tuesday we have the card, ‘Synchronicity’ – Your prayers are being answered by synchronistic events. Notice them in order to increase their flow. Here we are being asked to take notice of the synchronicity and serendipity of events that are happening around you. These are answered prayers. Where you have been focusing and directing your attention – results are occurring around you. To increase them further write them down. Your optimism and faith are like a high powered beam reshaping your life reflecting your life purpose. You intuitively may know that there are no accidents. This is a reminder that you have the power to change your life by what you focus on. 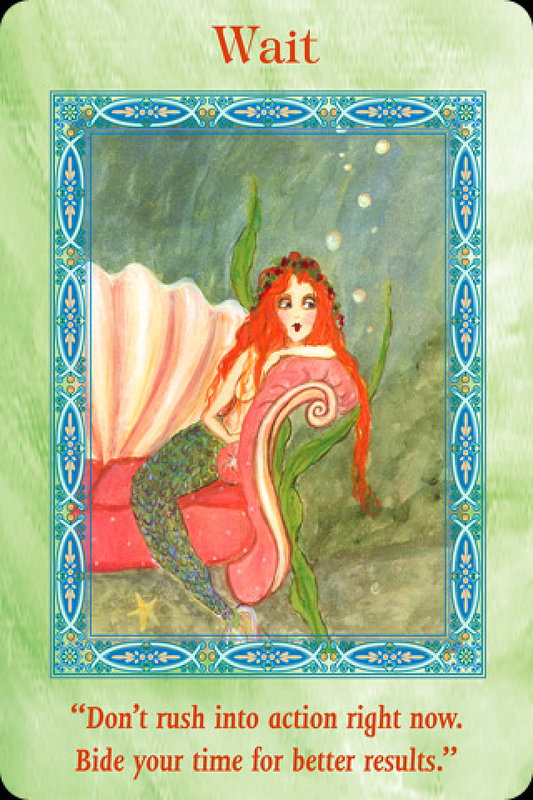 For Wednesday and Thursday we have the card, “Wait” – Don’t rush into action right now. Bide your time for better results. Here the affirmation is:’ I have infinite patience and I am Divinely directed to always be in the right place at the perfect time.’ We are being guided to take a pause in something we were ready to do. There is additional valuable information available to us in regards to this. You will know when it’s the right time to move forward. It is just a temporary standstill. By moving ahead abruptly you may miss a key component to your project or life. Breathe deeply and don’t rush is the message. 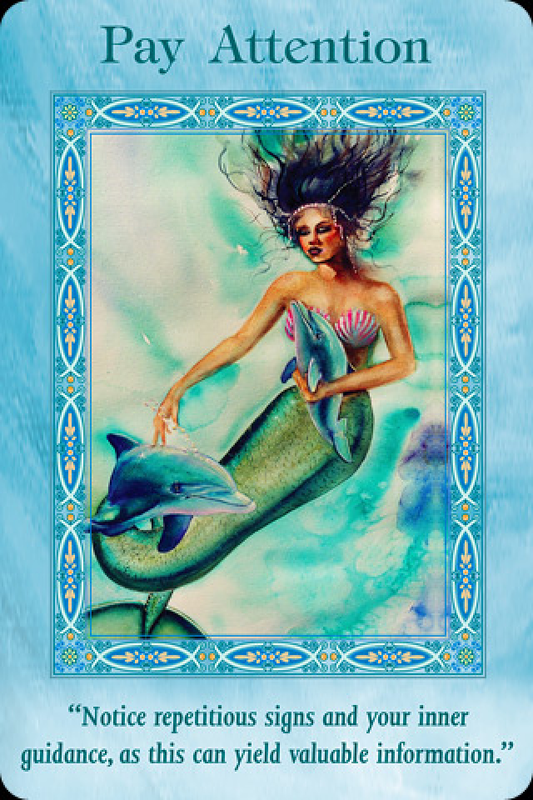 And for the weekend we have the card, “Pay attention”- Notice repetitious signs and your inner guidance, as this can yield valuable information. This ties in beautifully with the last two messages. Heaven is sending us many signs as thoughts, messages, conversations you may overhear, comments made to you by others, inner feelings and thoughts. Notice any similarities as these are a form of guidance being given. These signs are a type of feedback to your current belief system mirroring your experiences. It is a good time to heal (release) any beliefs that no longer serve you and create new ones that will create new realities for you. This week is about taking the time to notice and be present to what’s happening in our lives. There are great things happening as well as a flow of new experiences ready to manifest as a result of our thoughts. Take notice of any repetitive signs and know your prayers have been heard. Notice the wonderful things happening as a result of your prayers and requests. Allow this inner direction by witnessing the new support being provided. Have a blessed week! Angel light and love, Barbara. Next Special Angel Message for Today April 10, 2014.